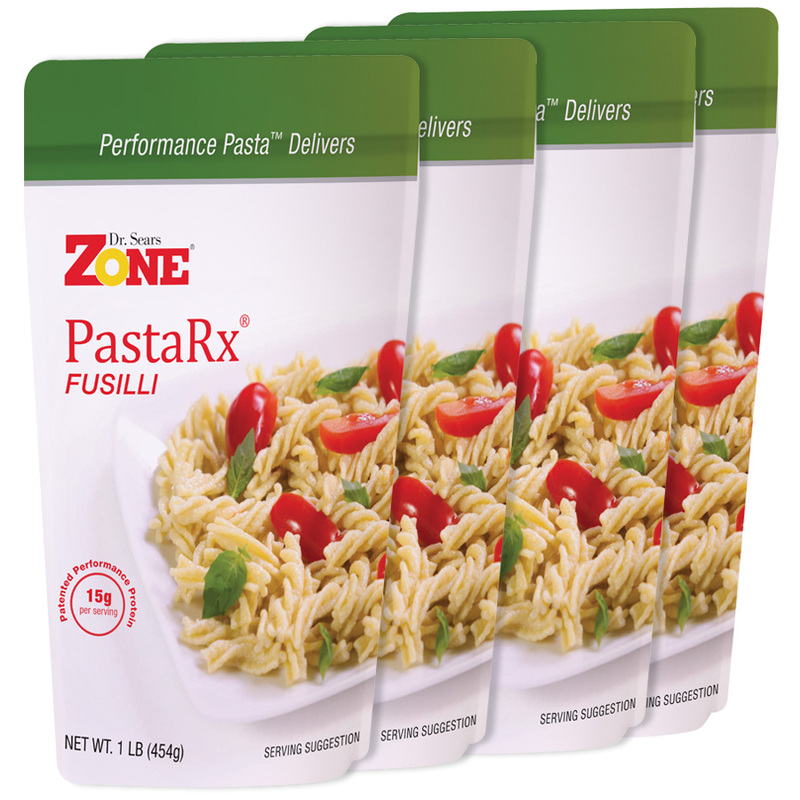 Cook Zone PastaRx Fusilli as directed. Drain, reserving 1/2 cup of liquid and set aside. Meanwhile, heat oil and wine in nonstick skillet. Sauté onion until translucent, about 3–4 minutes. Add cut sausage and cook until heated through, about 2 minutes. 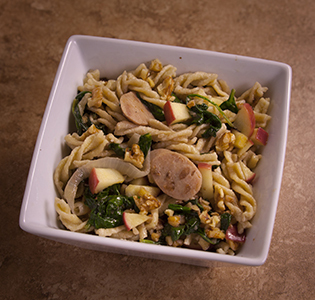 Stir in diced apples, walnuts, spinach and fusilli. Add some of the reserved water if needed. Cook for an additional 2 minutes until all ingredients are warm and spinach is wilted.